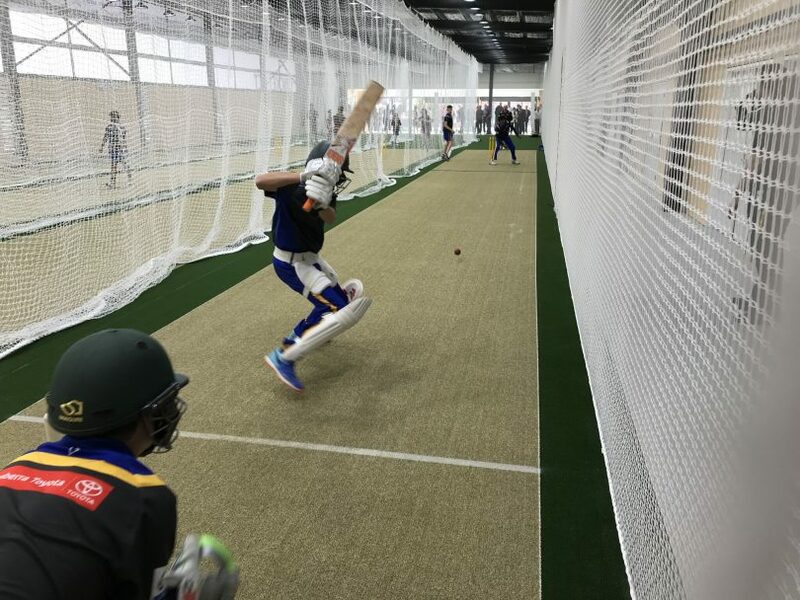 Young cricketers try out the indoor nets in the new training centre at Phillip. Photo: Supplied. The new state-of-the-art cricket training centre at Phillip which opened this week will drive the game forward in the ACT and is a boon to the Woden community, which has been crying out for more sporting facilities in the area. With indoor and outdoor areas, as well as administrative facilities, the centre will support Cricket ACT in its delivery of community and high-performance programs for female and male players all year round. It will also support pathway programs and be an alternative training and playing location to Manuka Oval. 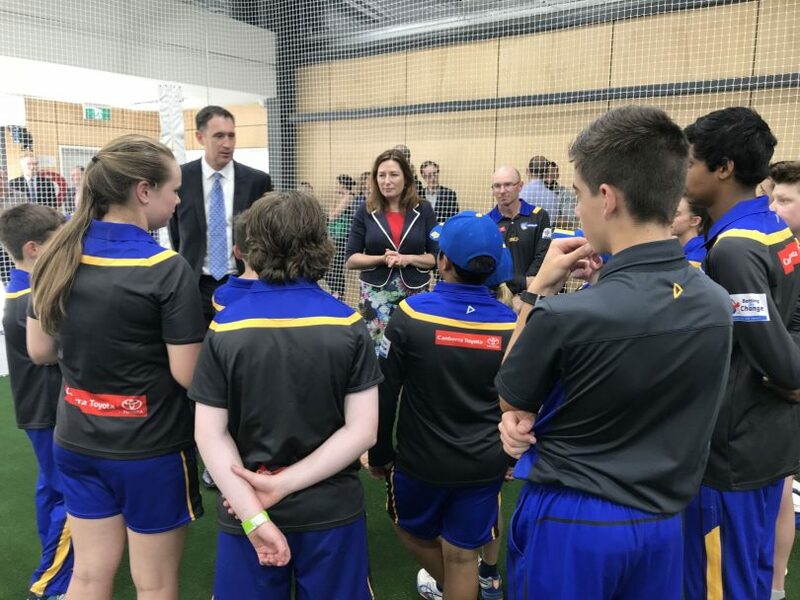 Minister for Sport and Recreation Yvette Berry and Cricket Australia Chief Executive Officer James Sutherland talk to young players at the new training centre on Tuesday. Photo: Supplied. Minister for Sport and Recreation Yvette Berry and Cricket Australia Chief Executive Officer James Sutherland attended the opening on Tuesday. “This new indoor centre and outdoor wicket area will provide players with wonderful training facilities to be used all year round by local teams as well as visiting state, national and touring sides,” Ms Berry said. Work on the Phillip redevelopment began in February with the cricket facilities for the first section opened. Four floodlight poles will come on line in December, and next year an extension of the existing pavilion will open, providing AFL NSW/ACT with new offices and facilities. The playing surface at Phillip Oval has also been upgraded. The ACT Government committed $4.6 million to the project with AFL NSW/ACT, Cricket Australia, Cricket NSW and Cricket ACT together contributing $1.9 million.